Our California Wonder Bell Peppers are the largest open-pollinated peppers you’ll find anywhere! Thick-walled and blocky yet totally tender and fantastically flavorful, these peppers are a versatile delight to use at mealtime. Their crisp, clean and sweet flavor tantalize your taste buds. 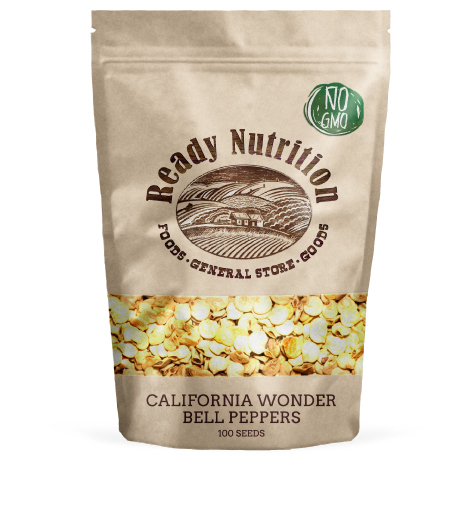 California Wonder Bell Peppers provide an excellent source of Vitamin C.